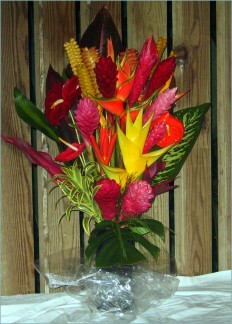 The “Maui Magic” arrangement arrives fully arranged! 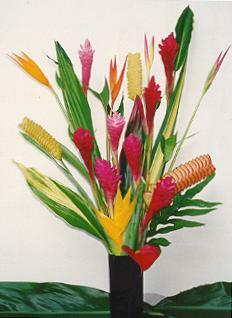 Includes: 15 stems up to 30″H plus exotic foliage. The vase for this arrangement can be purchased by selecting it below. Our pictures do not show additional foliage and the stalks that will be included with your order. 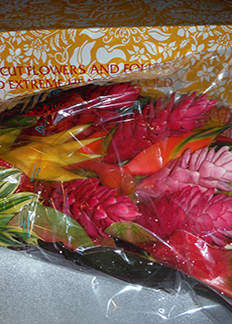 The additional ornamental leaves were removed to allow a clear view of some of the exotic flowers we send nationwide. We reserve the right to substitute other exotic flower variety equivalents in place of those seasonal varieties pictured.